Life can be quite the roller coaster, and even the joy of owning a hot tub can become a chore. When you are moving, remodeling, or upgrading to a new hot tub in Denver the weight of a beastly move can be tiring. The good news is that you do not have to take on this monster of a task alone. 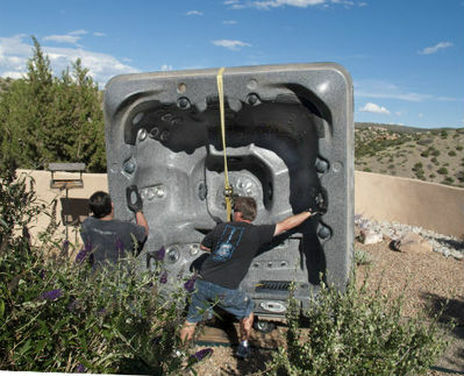 Hot Tubs Denver is here to provide you with heroic moving services for any Denver hot tubs. The moving crew from Hot Tubs Denver is prepared to help with on-site moves, moves across town, and whatever else you need. Keeping hot tubs in Denver and the property they are on safe is a huge part of our moving process. We take special care of every hot tub and home that we work with. If you feel the task of moving hot tubs in Denver is more than you can handle alone, then give us a call and let us lighten your burden! Our primary goal with hot tub moves is to make your life easier. That is why we wanted to let you in on some helpful insider information about moving a hot tub in Denver. There are two easy things that you can do before we arrive to make sure everything goes as smoothly as possible. When moving Denver hot tubs, our team will need a clear path to work with. Making sure that there are no obstacles between where your hot tub is and where it is going is a key to making the move go smoothly. The Hot Tubs Denver team will move faster, and your hot tub will be safer. This is just one simple way that we help customers keep hot tubs in Denver in excellent condition during a move. It is critical to make sure that there are no obstacles that could damage your hot tub at the final location. Checking for low hanging limbs and power lines around the place you would like us to move your hot tub in Denver will keep our workers and your tub safe. The best hot tubs moving company in Denver is certainly the one that provides excellent service at a great price. 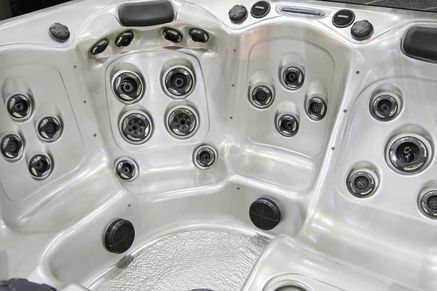 While there are a lot of factors like whether you have two person hot tub or a 6 person hot tub, Hot Tubs Denver is confident that we can provide you with a great price no matter what. Since each job is different, give us a call with the details of your Denver hot tub move, and we can make you a custom quote today! Let go of all of the worries of moving hot tubs in Denver and let Hot Tubs Denver take care of it instead!